BizSugar Blog » Would Online Meetings Work Better for Your Business? 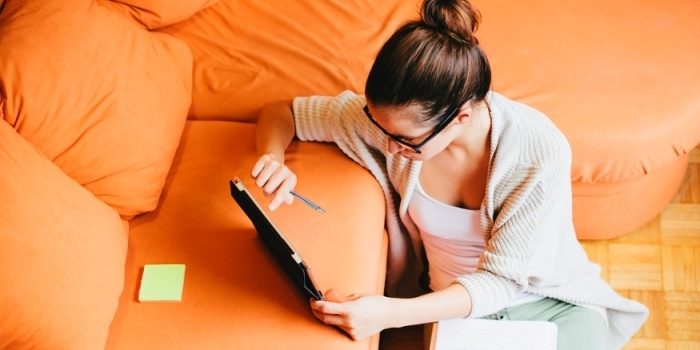 Would Online Meetings Work Better for Your Business? Onboarding new employees or clients can be challenging. Even if you take the time to train them one-on-one, they may forget by the time they need to remember what you taught. What could be better than recording your online training meetings? Every person learns in their own way and has different questions. By recording each session, your new personnel can replay exactly what they need when they need it. Choose from your best sessions and create your own educational database. Do you have people whose native language is different than yours who almost understand — but not quite? Some online meeting solutions such as Clickmeeting have the ability to show a live translation in text in a viewers chosen language. Using this capability could mean the difference between getting your point across and creating confusion. Translation capability is usually provided by having Google Translate integrated into the solution. Google Translate currently handles fifty-two languages. Take the time to customize your online meeting using your brand’s logo and colors. Save the settings to create consistency for all your meetings. Recorded meetings can then serve to raise visibility for your brand. Edit your recordings and upload them to video hosts such as YouTube, Vimeo and others. If the online meeting system you are using supports recording, but not editing, a third party video editing tool can be used. As busy as everyone is today, be sure to send invitations that are easily added to calendars. Also send reminders as even the most organized can sometimes be so busy they forget to check their schedules. Unexpected emergencies happen. Choose an online meeting provider that supports all devices from smartphones and tablets to desktops. Otherwise, no one caught away from their desks will be able to attend. Read the fine print when choosing as some solutions allow attendees to use any device, but the person running the meeting must use a PC. The only way to be certain any solution will work for you is to try it out. Thirty-day free trials are common. current utc time Take advantage of them to test multiple devices and locations. Schedule a meeting with the maximum number of attendees and locations you will need to ensure everything works as expected. In a survey including 1,794 respondents and 37 interviews and case studies with representatives at leading brands, community management firm The New Collective Objective concluded meetings are about to change. More traditional meetings are being replaced by hybrid events. A hybrid event is where some people are together in one location while others are joining from wherever they are. The presentation reveals that what attendees want is not what organizers are giving them. Use it to improve your meetings. Whether you are an expert at running online meetings already or have yet to test them out, holding meetings virtually provides many advantages. From saving on travel costs to giving your employees more flexibility in their schedules, every business should at least consider using online meetings. The fewer meetings the better, but if it’s just 3-4 people, online is great. More than that, and you better do it in person. I agree that many businesses waste time with far too many meetings. The tip in the video on how to get people to show up on time is slick. Personally, I prefer online meetings over in-person meetings, but that is simply a matter of preference. Many insist on meeting face-to-face. That is mostly what I do. In order to show or share my screen with prospect and clients a-like. It is the most time saving tool I use. Screen sharing can really help someone in another location understand what we are explaining. I do that all the time, too. In my experience online meetings are like double edge swords. They can save you money, travel and provide great convenience. They will work well in most cases. However, there are situations when face-to-face meeting works better and is warranted. Nothing can substitute the personal touch and relationship building opportunity that face to face meeting provides. You’re right – sometimes you really want a face-to-face meeting – but much of the time virtual works just as well or even better. Personally, ALL of my meetings are virtual and have been for years. Yes, it is nice to be able to do audio or even video meetings with distant clients and collaborators. Gail: Have you tested out Google hangout for online meetings? Yes, I have used Google hangouts and they work if you don’t need more than 10 people on video at a time. I’ve also used BLAB for up to 4 people. Both are rather buggy, so if you do presentations to large groups a more stable, paid solution is a better option. Flexible schedule is a great advantage of online meetings. If you manage to deliver your messages in a convincing and elaborate way, you have the chance of winning many new business opportunities with international partners. The great thing about some methods of doing online meetings is the ability to record them so others can watch later and so that participants and presenters can watch them later.